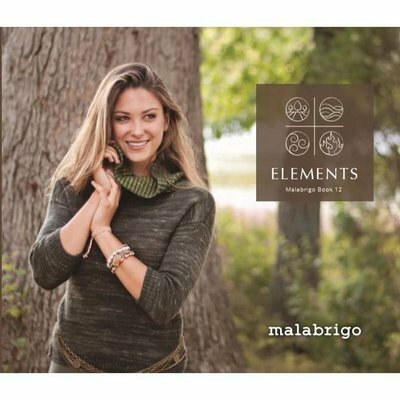 Malabrigo Book 12 - Elements takes inspiration from earth, air, water and fire to bring you 16 patterns that you'll want in your library. Each element highlights different colorways and utilizes the diverse Malabrigo line to deliver stunning shawls, cozy cardigans and even a delightful dress that you'll dream of making! A wide range of techniques is used which makes this a great book for trying new skills. Lacework and cables are charted only, so brush up on your chart reading skills to help you get the most out of this book.